Are you a professional technician looking for new job? Well, then you have to prepare a fitting technician resume that would be able to present your potency as a suitable candidate before the hiring manager. Your resume must include a proper description of your skills, strengths, qualifications and expertise. 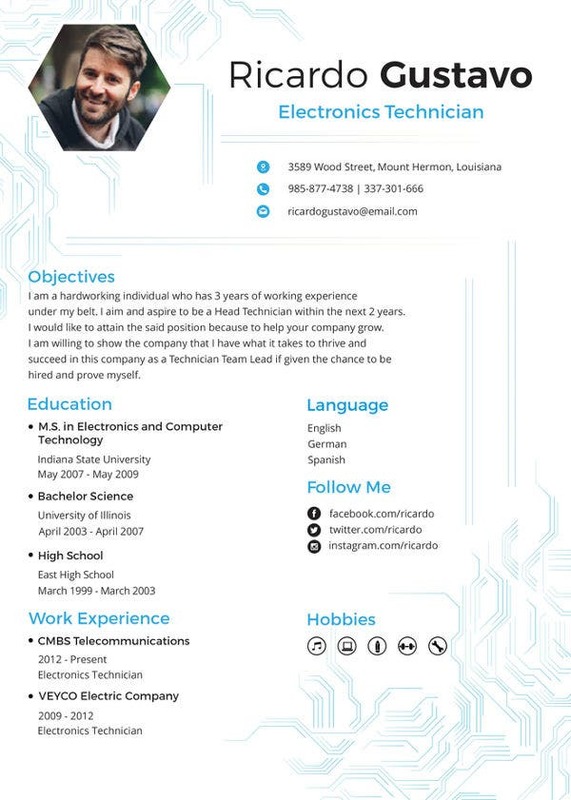 So, go for interactive resume templates with audio clips, website links, headshot and social networking links- to create an engaging experience for the hiring manager. It would play a vital role in heightening your chances for the job. 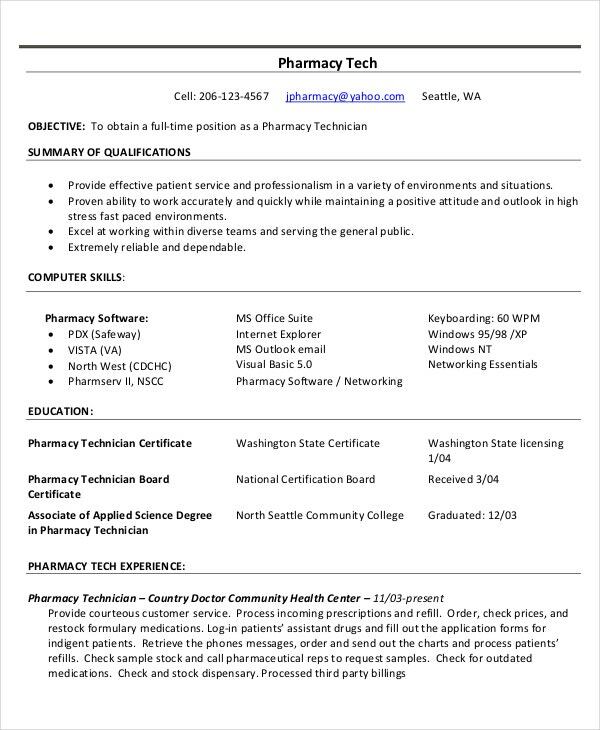 If you are looking for pharmacy technician resumes that would allow you to list in detail about your current job experience along with qualification summary, this template would be the right thing for you. 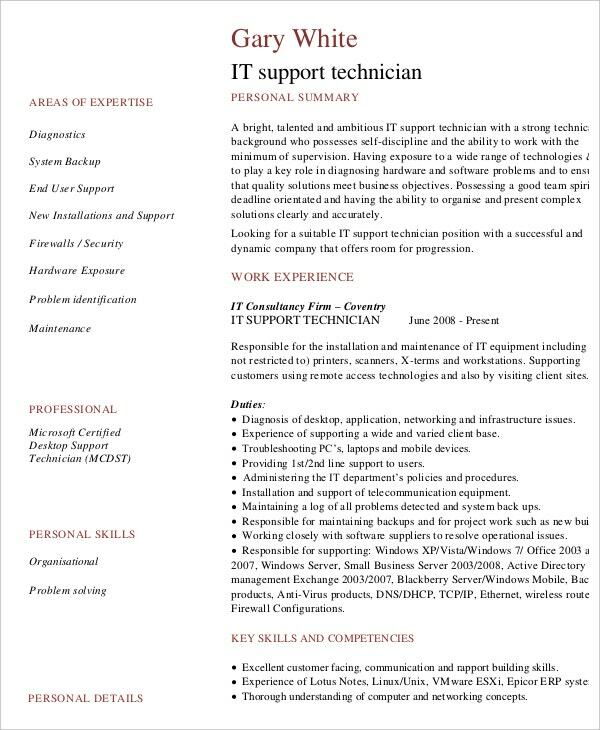 You have a compact IT technician resume here that starts with the objective, followed by sections to list your computer knowledge and the help you can provide- along with your computer & electronic skills. 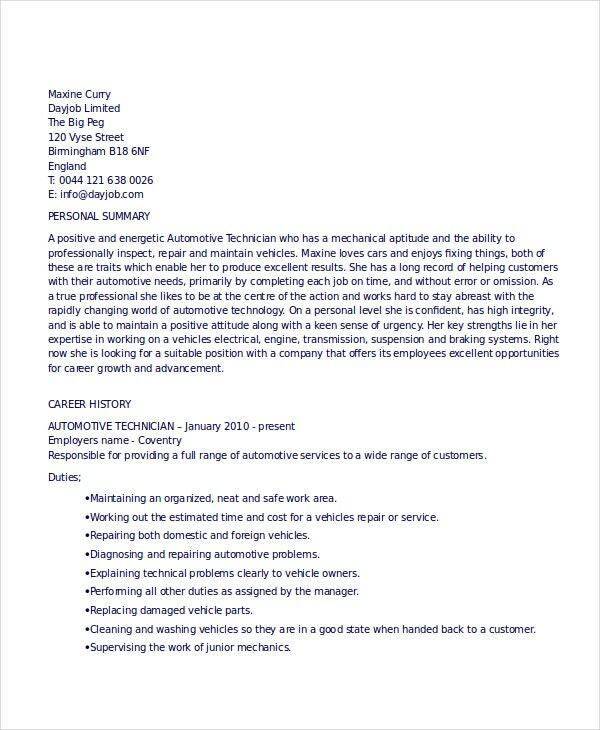 If you are looking for technician resumes for seasoned automotive technicians, this template here offers you sizeable space to elaborate your career history. It begins with a solid personal summary and makes a good impression with skills presented in neat bullets. 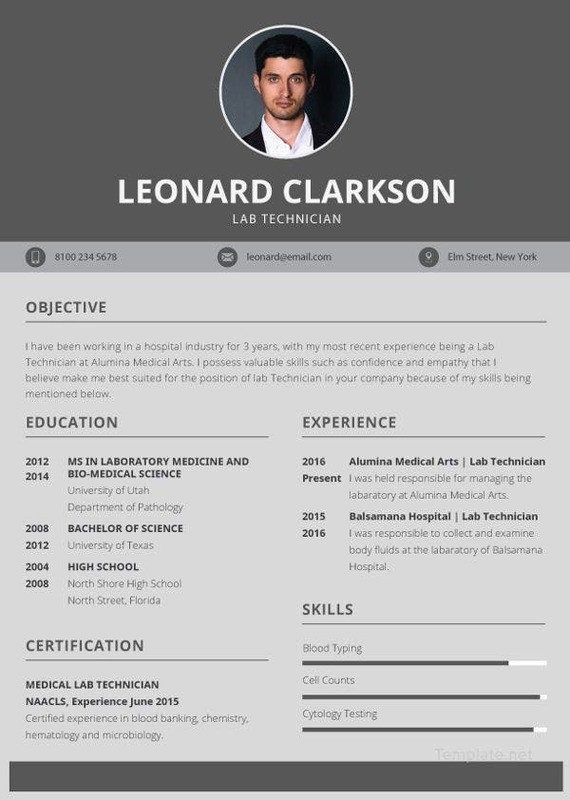 This technician resume has taken a smart and clean approach by dividing the layout into two halves- the right side hosts the elaborate parts while the left side is about the topics that can be presented in brief pointers. This lab technician resume begins with a solid career objective, followed by bullets on your major strengths – so that the employer can have the best impression of your prospective. Then it goes to educational qualification, work experience, and skills. > What to Include in Technician Resumes? 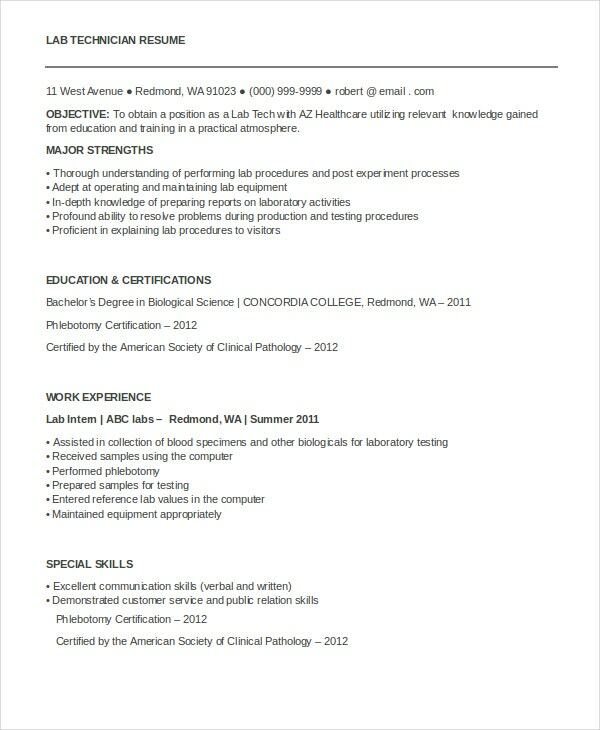 Are you about to draft a microbiologist resume template and looking for ideas? Well, first of all, it’s best to start with a robust career objective that must be in sync with the post that you are applying for. Then, you can include a personal summary if you have been in the field for long but it’s not exactly necessary if you are a fresher. Your educational qualification, relevant certifications, and skills must be mentioned. Don’t forget to note your computer skills as well. Then, you will include your work experience or internships that you have taken (when you were a fresher). 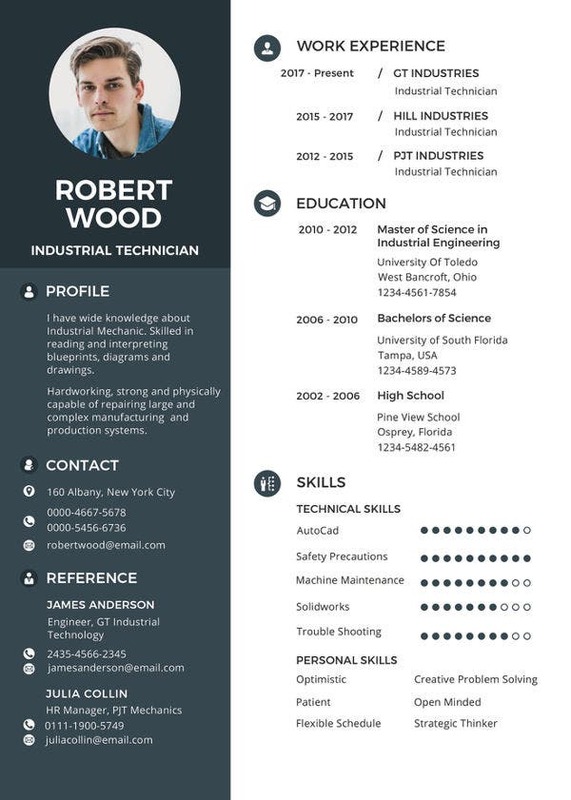 Finally, no technician resume would be complete without contact details. > What are the Tips for Technician Resumes? 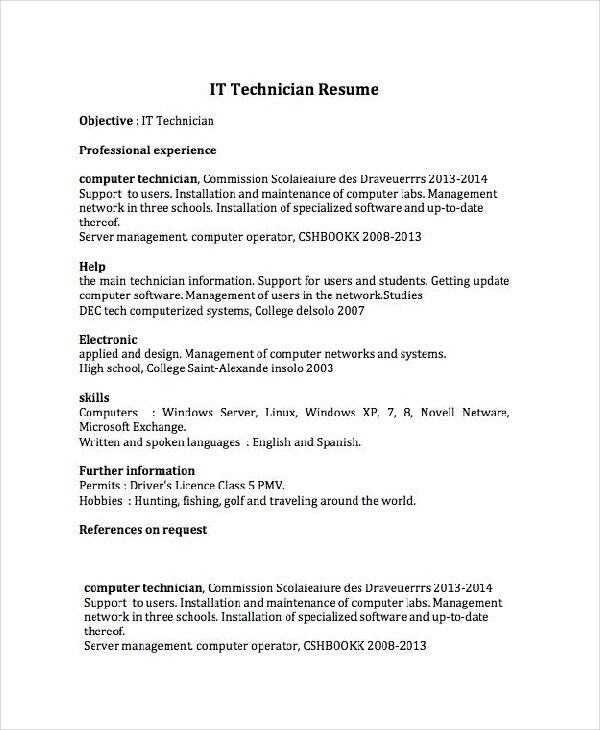 When it comes to creating your resume as a technician, you have to give your best shot. The first tip is to highlight the most prominent aspect about you. If you are a veteran in the industry, make space on your resume for your lengthy career history and you can talk about your skills later. If you are not that experienced, leverage your resume by offering your major strengths and areas of expertise before your work experience. 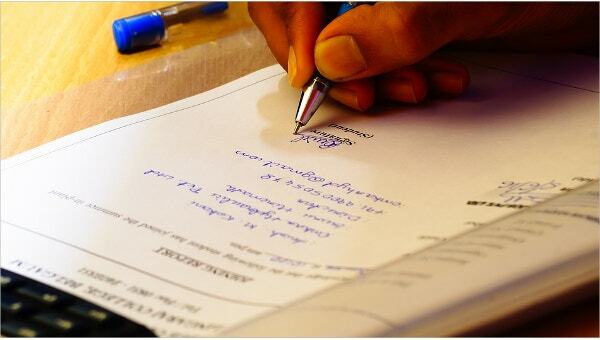 Present your skills and areas of expertise in neat bullet points for a quick grasp. Use power keywords throughout and try to present interactive technician resumes for the best response. > What are the Mistakes to Avoid in Technician Resumes? The first mistake to avoid in technician resumes is spelling, grammar and typo mistakes. Such silly mistakes can go a long way in damaging your impression before the hiring manager. Then, do not use a wide range of fonts in the resume. Make sure not to clutter up the resume and there must be adequate space between each section. Do not make a lengthy resume and it must be limited to maximum 2 pages. Do not include irrelevant hobbies. Besides, it’s better to avoid generic words and rather you should focus on tangible action-oriented expressions. 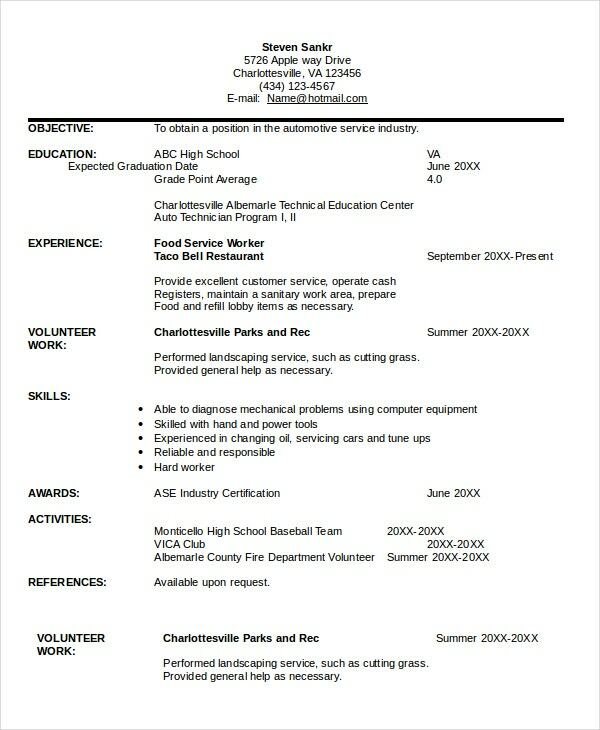 The templates mentioned above would be of great help when you are looking for standard professional technician resumes. From lab technician resume to that of IT technician to pharmacy technician- there are resume templates here for all, designed by experts. All of them are easy to use and completely customizable.